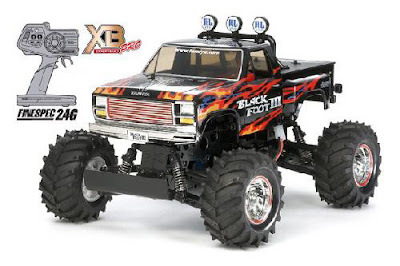 Tamiya has re-released the Blackfoot III in RTR (ready to run) form (part no. TAM57825). The Blackfoot III RTR comes with a 2.4GHZ radio. The only parts needed to run are a 7.2 volt battery, charger, and AA batteries for the radio.